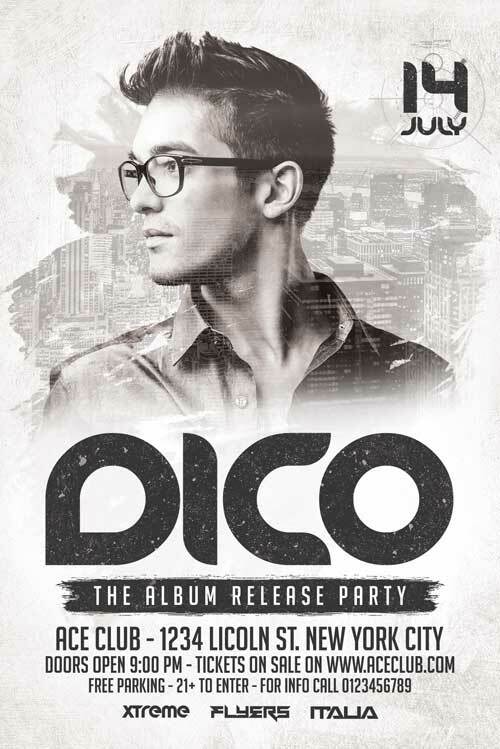 Dico Club DJ Flyer Template was designed to advertise the performances of a DJ inside a club / pub. 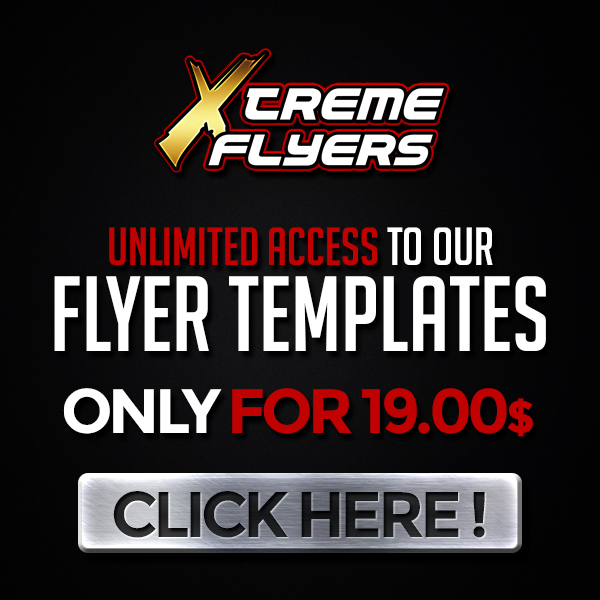 Here comes one of our most sold DJ Flyer template. This unique and minimalist design will satisfy all your needs and will help you attract new customers to your event. You can easily blend the picture of your DJ by following the instructions contained inside the main file. NOTE : The model is not included inside the main file ! The image has been used only for demonstration purposes. There is a Smart Object inside the Models folder, so that you can easily replace the original picture.